Now let me introduce ya to the stars of the show! Essentials by Ellen Stitched Cover Plate — this is 4-3/8 x 5-11/16 is so good you all! I think it really takes these tags to the next level. It makes me think of cozy sweaters! 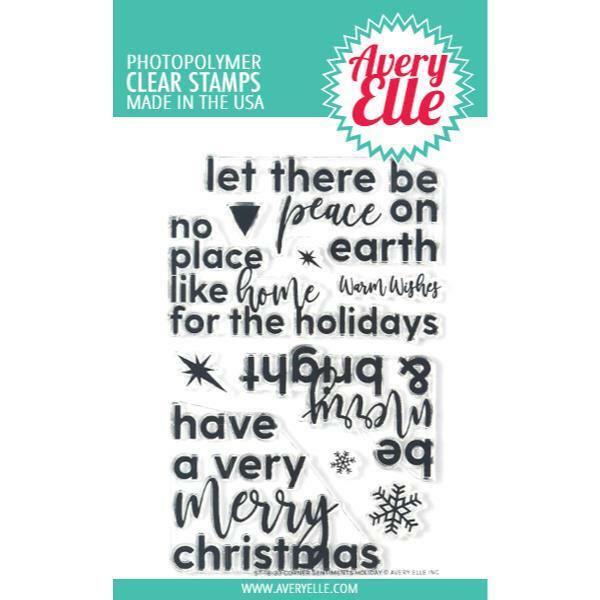 Avery Elle Clear Stamps Holiday Corner Sentiments — as soon as I found out that my theme was black and white I had to reach for these! And they’re bold enough to stamp right on paper that’s been embossed with the Stitched Cover Plate! 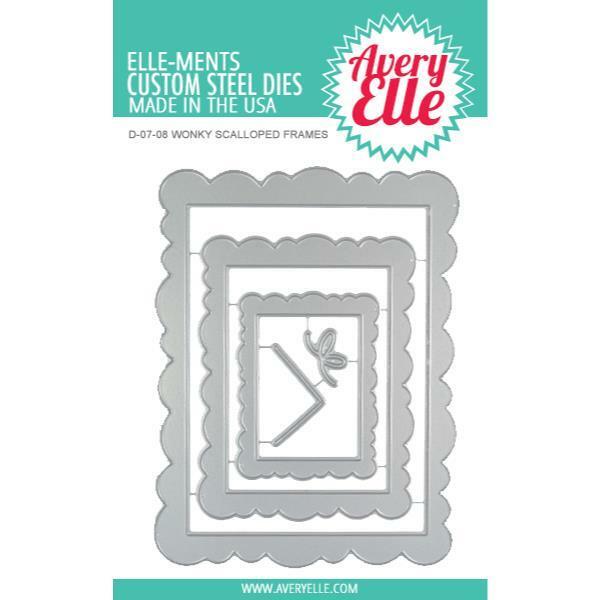 Avery Elle Wonky Frames — I used these to make my tags — so fun! I thought I’d walk ya through a few of the tags and point out some of the lil details, starting with this one! 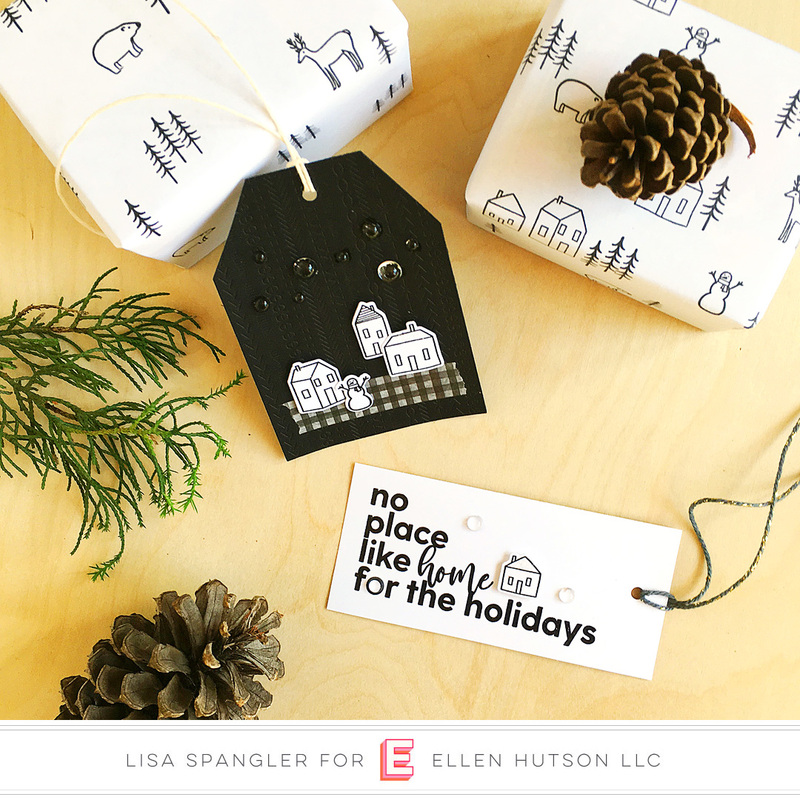 Just look how the Holiday Corner Sentiments pop when stamped on the Stitched Cover Plate! I love the texture peeking through the stamping. Just adds that special something. Now how about the Stitched Cover Plate in black cardstock? Oh yeah. And I used this black and white gingham washi on most all the tags — love how it grounds the little scene. Here’s some wrapping paper with the Over the River set. It looks like something you’d find at a high-end stationery shop, right? But it’s just printer paper and those stamps. 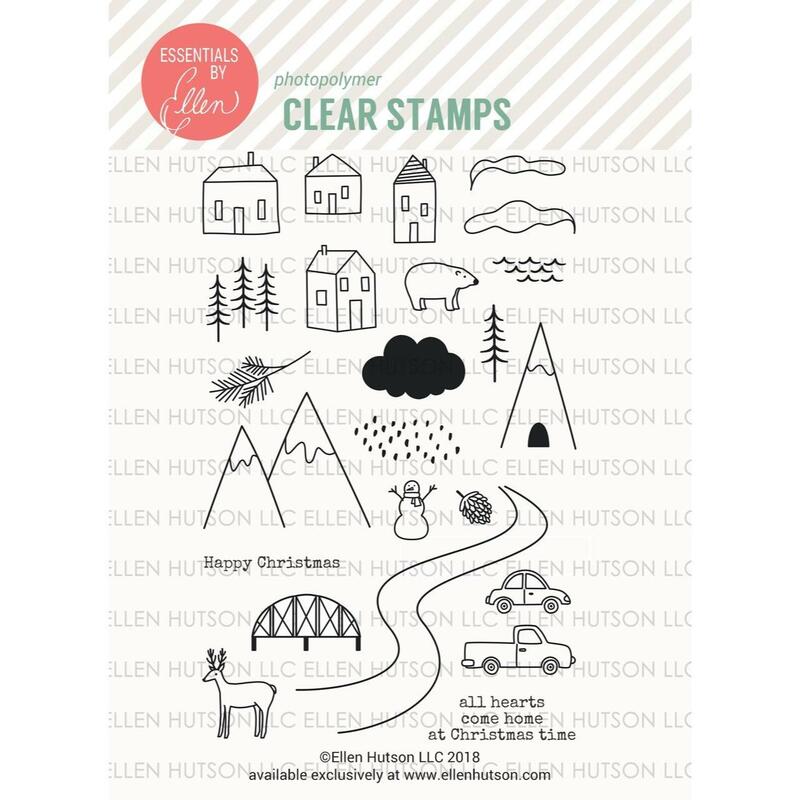 One last thing before I go — I’ve been loving the new Essentials by Ellen Crystal Clear Droplets — I kinda wanna put them on everything! Here I used some to look like stars on the tag with all of the houses, and they even fit perfectly inside the o’s on the “no place like home for the holidays”. Note that these are my affiliate links, so if you make a purchase by clicking the link I’ll receive a small commission at no charge to you — thank you! You guys! At the time I wrote this post that super cute gingham washi tape was outta stock, so I added it here! I’d say if you want some you better grab it quick! Here are the rest of the supplies! 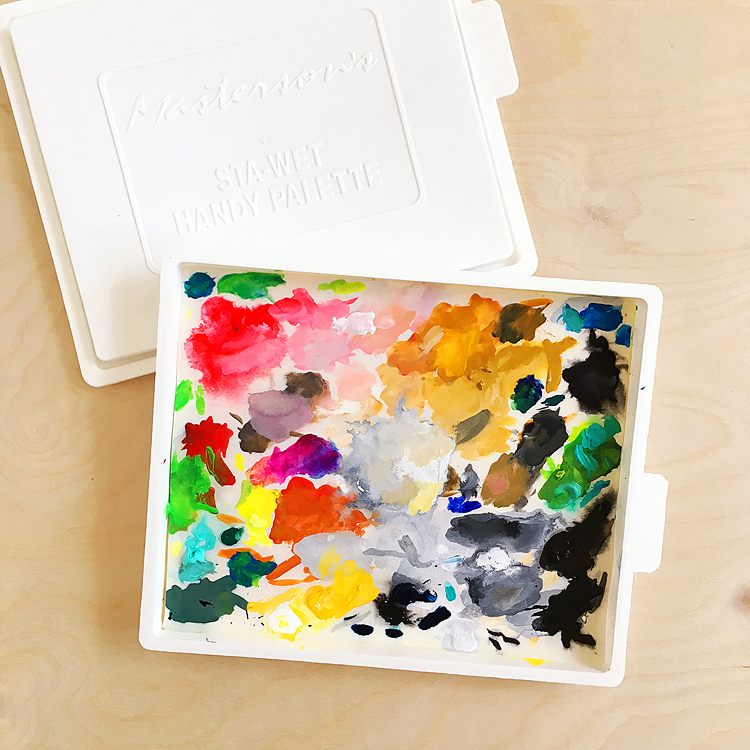 Altenew Crafty Friends Blog Hop Day 2 + Giveaway! 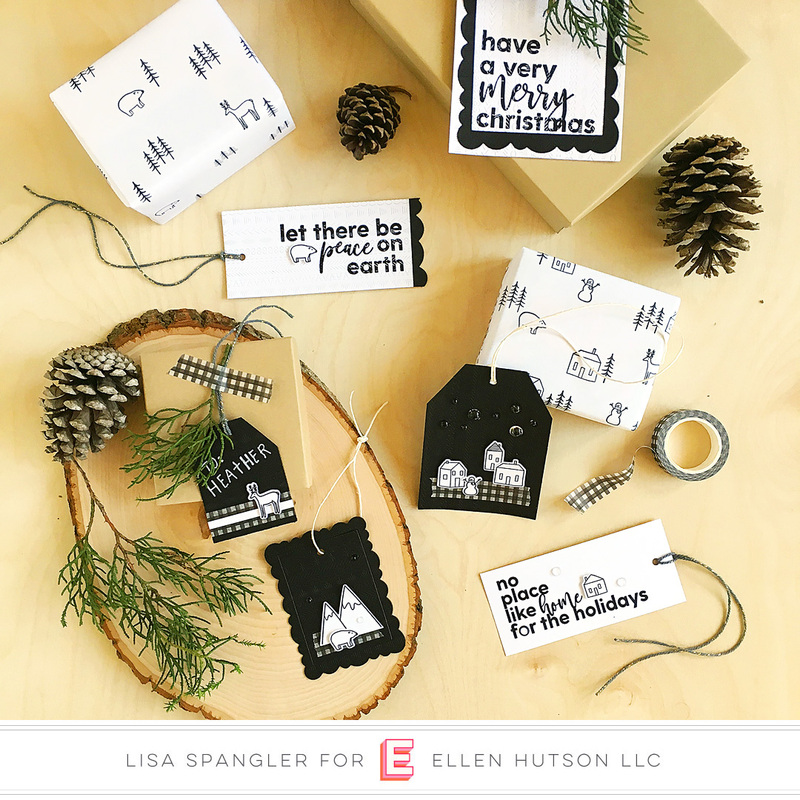 The Essentials by Ellen December release is HERE! 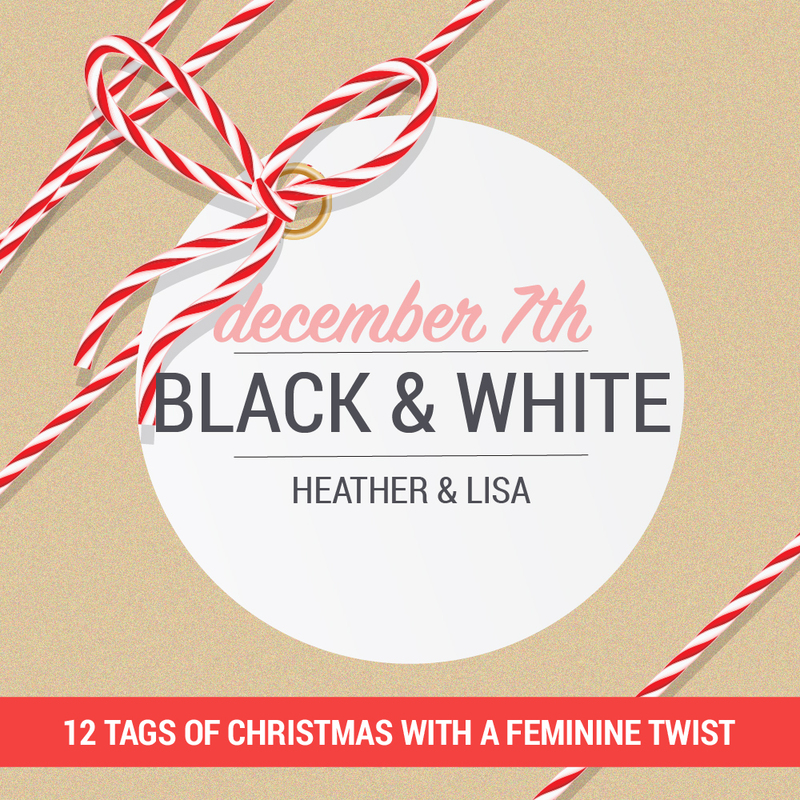 Love these black and white tag designs. 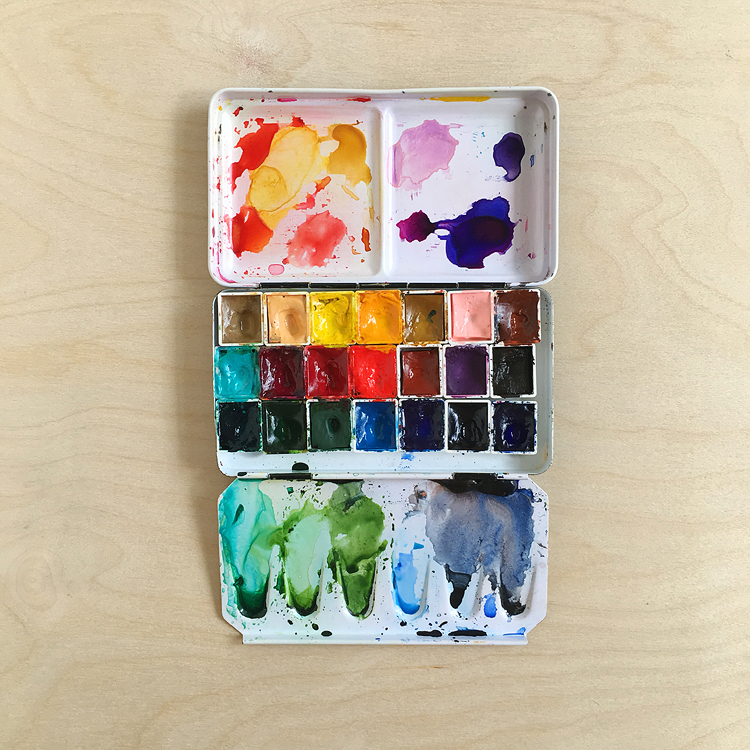 You’ve shared so many fab ways to use this minimal palette. Love the gift wrapping. Thanks for sharing this inspiration with these fun products. 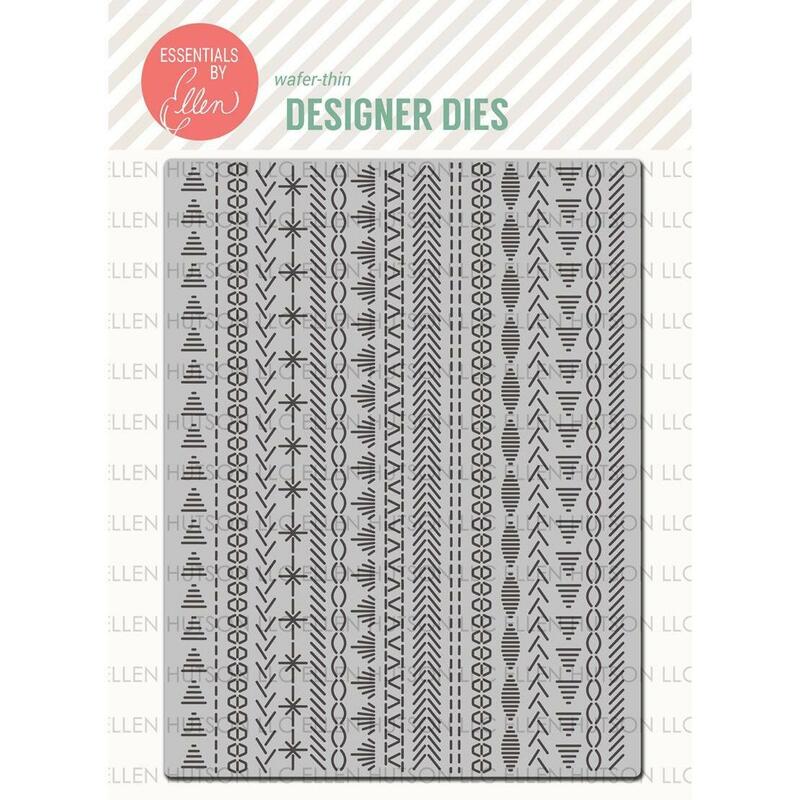 These are all such fun tags, and what a great idea to use computer paper to make the cute wrapping paper! 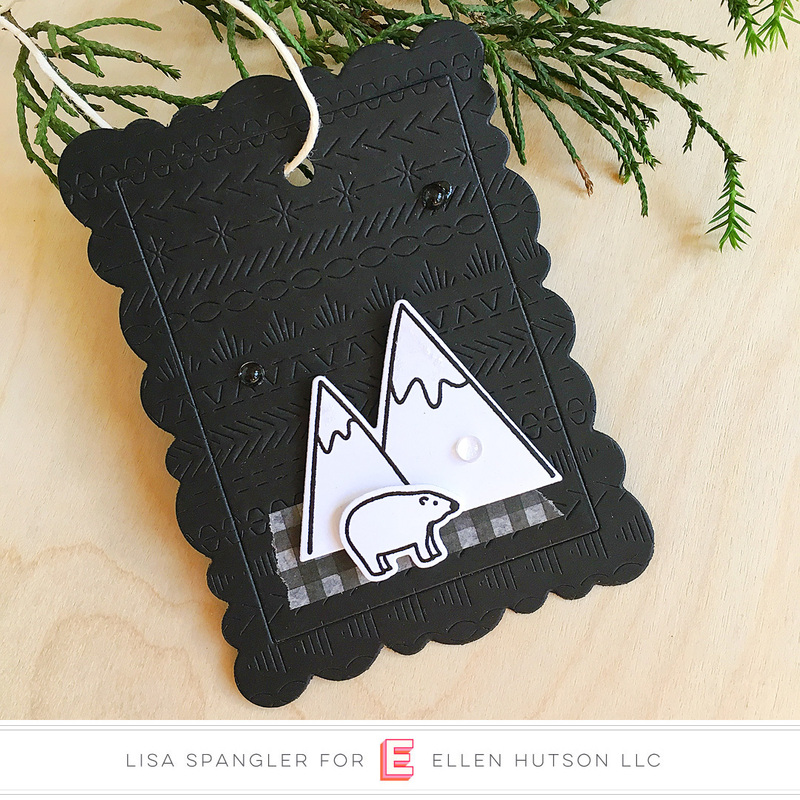 I especially like the Over the River stamp set–perfect for the black and white color combo. That stitched coverplate is crazy cool. Love your tags! beautiful tags! i love the black ones but i also love that a sentiment can be the focal point, especially with such lovely typefaces.